A customized website for dance and fitness tutorials by Rachele Brooke Smith. We helped Rachele, an actress and an inspiring role model to develop Squarespace customized website “THE DISRUPTIVE MOVEMENT” to share her messages on fitness and weekly video updates, featuring her behind the scenes as well as her dance and fitness tutorials. We helped our client to develop an e-commerce solution using woocommerce with payment gateways, PayPal,CC, Amazon setup. An ios application for monitoring the investment records of users. We have created this app for "Adam". This application allows you to track the investment records. This app offers the latest news updates, allows users to view charts and communicate and look for advice from the agent. We have created this app for "Indian Rock Universal Inc." I Rock Music is a way to add and organize your digital media collection. This application enables users to remotely source millions of songs from artists around the globe. ‘I Rock Music’ is accessible on multiple platforms (Smartphones and Tablets). E-commerce website for a better user experience. We helped our client with designing custom modules to show color and sizes variation on the collection pages for US-based clothing, and also modified product page code for the product slider. Enhanced e-commerce website for clothing and accessories. We helped our client with a custom theme to build an e-commerce store for fashion, clothing, and accessories along with customized filters and payment gateway setup. Fishing app designed for Anglers. The ultimate personalized free fishing application for anglers. It gives you the ability to share, log and complete your catches with ease, repost your photos and videos to social media platforms while keeping your information always private. Purchase tackle simply by clicking on other users tackle tag or in Tackle Shop section. Magento 1 custom designed website for clothing. This website is built in Magento 1. We have created custom design Magento theme according to our client requirements. 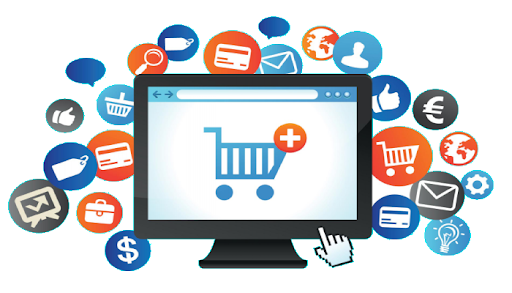 Products are directly imported to Magento store and are automatically updated at least once in a day. It also includes testimonial module, Instagram, ajax add to cart functionality. Magento website for selling bio fires across UK and Europe. We have helped our client in making custom-made modules of bioethanol fireplaces for order, export and made all the changes from the Magento 1 store to Magento 2. Mobile app for energy professionals to have relevant and timely job search for career building. We helped NrgEdge to build a social networking web and mobile platform which helps users from oil, gas and energy industry to build their career. Search, view and apply for jobs and get timely job notifications of new and relevant jobs. All you have to do is upload your resume, search according to your skills and save jobs to apply later. Online retail shopping experience website for custom made window furnishings. We have provided a solution for an e-commerce website based on customized blinds & awnings with custom filters and managed prices from excel sheet. We have created this app for our client "Atta UI Waheed Sheikh". “Pocket Deals” the innovation in local and exclusive deals which consists of buy one/get one free offer, savings of up to 75% off, even some free daily giveaways! We have created this iOS application for "Right Touch Applications, LLC". Right Touch provide fingertip access and allow customers to locate stylist based on their current location. We helped Charles with a website made for shopping bandage dresses and shoes. We customized the design according to the client’s requirements and provided an optimized solution. We helped Andre Gibbs build a solution for students across the UK to buy and sell products in and around campus in a convenient way to avoid unnecessary delivery delays. Get in touch with the buyers or sellers with our secure communication messaging feature, and post your ads on any social media platform to attract more buyers. iOS app that allows you to leave voice notes for friends. We have created this application for our client "Ali Bastan". Tellorie users can tell their short stories, share moments, leave voice notes and let other users participate based on their GPS location. Your "tells" will be automatically replayed when a user passes your GPS coordinates where your voice notes "tell" has been recorded. A “Sonia’s Mentoring Program” solution web application for Webinars, Accountability Calls, Actions, Plans, Private Groups, One on One Coaching across the globe for many different industries.